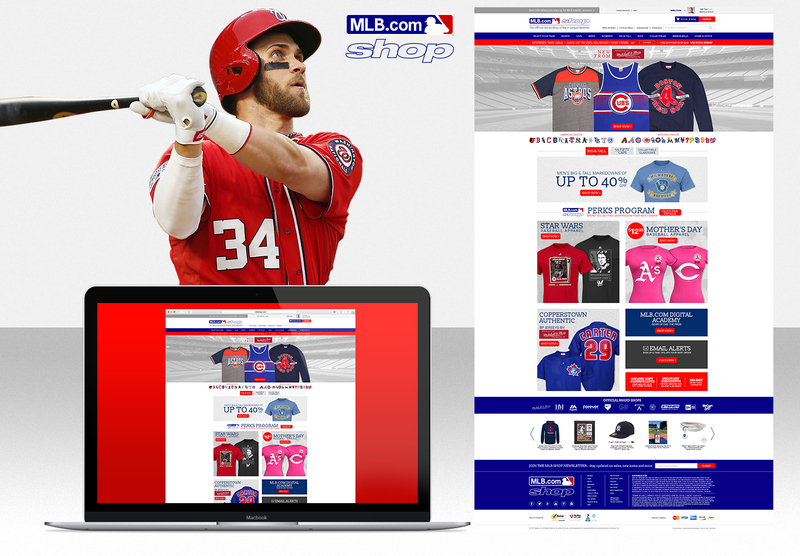 In between transitioning from print to the web at Fanatics, I was asked to be part of a design team that fully redesigned MLBShop.com. 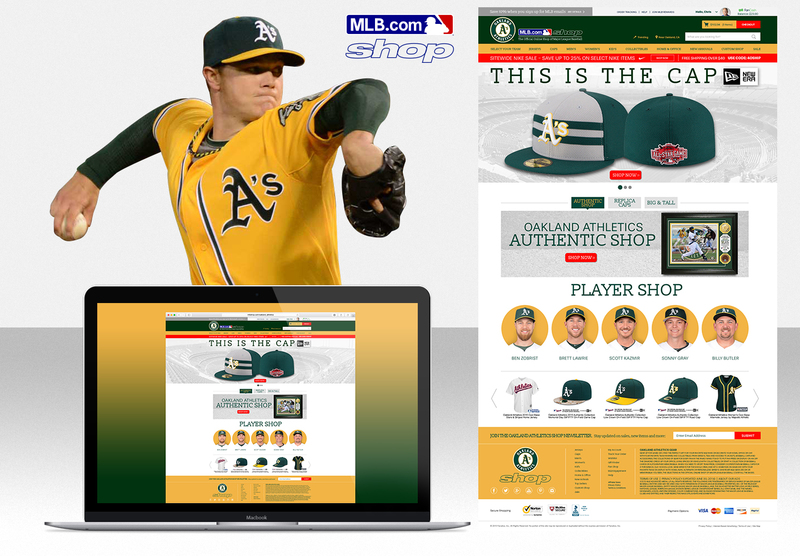 These designs were initial comps that led to the eventual official shop of the MLB online. The above concepts are desktop homepage and team landing pages. 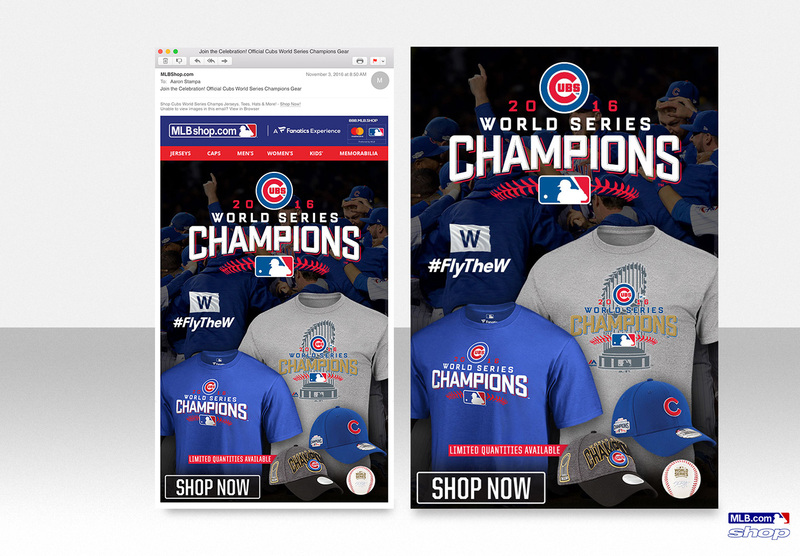 After the Cubs won their first World Series in 108 years, I was again asked to help out with some email designs. 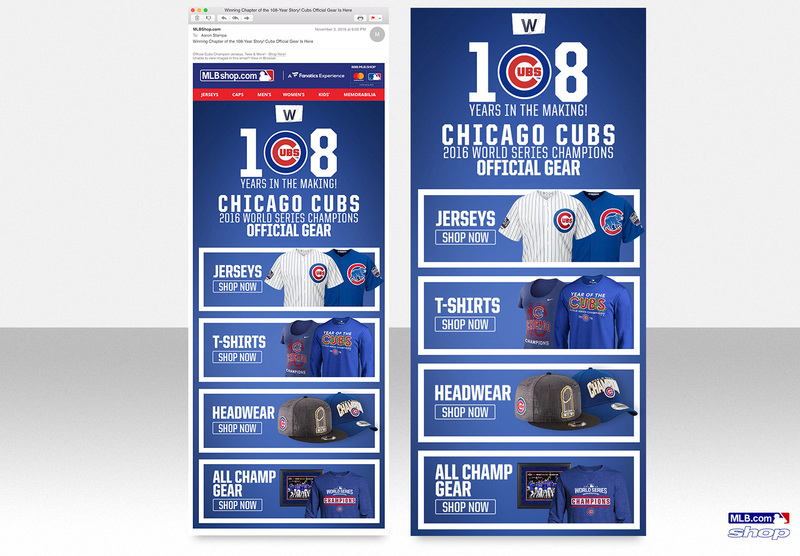 All of which inevitably lead to an authentic buying experience for the MLB fan.